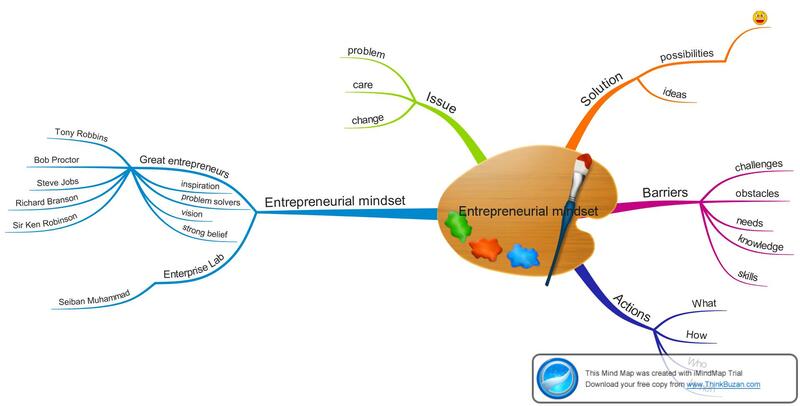 Following the highly inspirational day with Sabian Muhammad from Enterprise Lab, talking at the 80 Young People now participating at the NCS programme, I’ve been moved to share with You this article about How to develop an entrepreneurial mind. What do all great entrepreneurs have in common? What do Tony Robbins, Steve Jobs, Richard Branson, Sir Ken Robinson have in common? and What strategy do they use? If I started the day with these questions, surely after Seiban talk I came back with all the answers. Great Entrepreneurs have a set of procedures that, consciously or unconsciously are following all the time. A set of procedure that make the Entrepreneurial Mind. A Great Entrepreneur is Inspired: entrepreneurs are moved from a vision, a vision that comes from creating a solution to people’s challenges and needs. A vision in constant expansion, a global scale vision. They understand people’s needs and challenges and use their creativity, skills and talents to create the World they would Love to leave to their future generations. Great Entrepreneurs have a strong belief in themselves, their vision and their capabilities; a belief telling them that Everything is Possible, that failure is just another learning opportunity that will allow them to improve. mmm… interesting.. and so, what is the strategy that Great Entrepreneurs use to have such a big impact on people’s life? Wise question! I’ve been introduced to this model by Seiban. And this is the model that every entrepreneur has to bear in mind every time the “creative bulb” starts lightening. The Model is called ISBA. ISBA stands for, Issue, Solutions, Barriers, Actions. ISBA…. well… and How can I practically use ISBA? Hold on!! ahaha!! 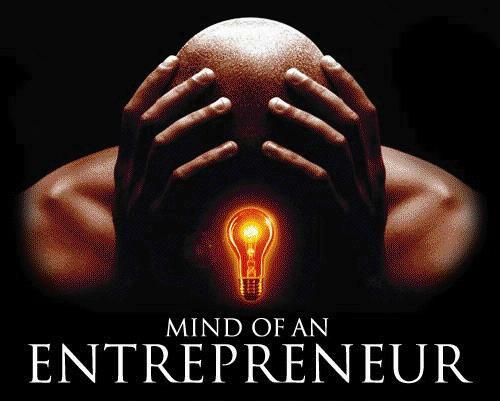 I see awakening the Entrepreneur within You!! Now I’m going to briefly talk through each section, spotting the key points of each step. What is that You really care about? What do You Love in Life? What is the main change You would like to see in Your community, society, World? If You were to see Yourself 70 Years from now, What would You like people to remember You for? What impact have You left in Your society? What is that moves You and excite You to the point to dedicate Your Life to It? dig deeper… This is part of Your Life Purpose. For Example, My Purpose is to support children, youths and adults connecting with themselves, find the Purpose they have lost, creating the Happy Life they deserve to Live. Answer those questions and then move to step 2. After having identified what challenge You want to see solved, that moves You to the point where You see is Your mission in Life to solve it, it is time to brainstorm all the possible solutions. Remember, there are no right or wrong answers at this stage, just ideas. The Ideas will flow and tap into Your creative self. Everything is possible if You believe so. What can You do to solve this challenge? What have other people, who faced the same challenge, done in the past? What can You take from Their experience? If You have all the resources (money, time, support) You need, what would You do? What would Your role model do to solve the challenge? Move now to step 3. In this phase You are going to take a deep look into what is really stopping You achieving it. The internal and external obstacles You have found, You find and You might find. The resources that You need and the support that is missing. What You really need also in terms of Knowledge and skills. What obstacles might come up on the way? What obstacles I’m facing now? and now, after a detailed look You can move to the last phase. Now You have the opportunity to plan the tasks to overcome every obstacle and eventually create the reality You were aiming for. It doesn’t have to be a massive action, but a small, daily improvement will lead You beyond Your best expectations. Also You might want to think How You are going to move through, Who is going to do those or support You, and When You are going to do those. Now it is time for questions!! What are You committed to do to overcome every obstacle? What sets of actions will build Your action plan? What are the actions that will bring You the biggest expected results? How are You going to do each of those actions? Who is going to do those actions or support You? When are You committed to do those? WWow!!! This is Mindblowing!!!! BOOOMM!!! I love it!! A special Thanks to Enterprise Lab to be so inspiring and for sharing this valuable tool! I decided to attach to each post a mind map, so, if You don’t want to read it entirely, You’ll have the chance to know the key point of every post! I’m looking forward Your feedbacks!! Oh, and remember to subscribe to my weekly newsletter!!! May You always be ISBA!! The 1st day of a rising entrepreneur! It is fantastic to connect with you again! Today is a great day, a day when a new rising entrepreneurial star is born! Today Is my first day of self employment! It is the first step of the decision made a couple of weeks ago, where I committed myself that from that moment on, I’ll be my own boss, because I don’t need to have somebody to work for…. I can create what I want!! Why I do it? I want to step into the possibilities of financial independence! I want to leave the life I’m dreaming, and invest my earning for my personal and for the human development. Once financially independent I can effortlessly contribute more to the society I want to co-create. A world where each individual has the power, the belief and the confidence to shine his own light, respecting the environment and the beauty of every Life. How am I going to do it? I use the tools, the knowledge and the wisdom I have, to empower the light of each children, youths, adults. Like an alchemist, I facilitate the transformation and the growth of what is already good to something outstanding! I’m so excited as I’m writing that a smile is now painted on my face! I’d like now to share with you what I’ve learned through the day, what I’ve realised, what worked and what didn’t. The first realisation was that I need to create a business plan, decide how many hours of my time and energy I’m going to invest weekly, which tools I’ll use, which media can help me in my mission and the strategies I’m going to adopt to make my business grow. Also after the seminar of tonight around marketing I realised that this a world I need to explore further and master. The experience of working from home has been very meaningful. I felt immediately a sense of freedom and power that drove me through the day. And, on the other and, I felt also the burden of the increasing responsibility , that lead me to a feeling of overwhelm for all the necessary practicalities that will make my creation grow successfully. Also, looking at my bank account, the gremlin of “”OH MY GOD HOW AM I GOING TO PAY THE NEXT RENT” kicked in, which I calmed down with 10 min of EFT, creating in me a sense of power and abundance that replaced the negative feelings and the negative chatterbox. Also I had to deal with a lack of time management, created from the frequent interruption created by checking Facebook, email, texts, phone calls and the frequent day dreaming. But at the end of the day I managed to complete 7 of the 10 tasks that were important for me to achieve, with the aim to reach the target of 8 tomorrow. Also the Kundalini Yoga session helped me to balance the drowsiness I’m experiencing in these days, due to the change of my sleeping pattern. One of my goal is to re-train myself to sleep 4,5h per night. Life is so juicy and there are so many experiences I want to enjoy, that I want more awaken time! And I’m aware that the tiredness I’m experiencing is part of the process, therefore I keep on going!!!! At the end of this awaken time I can say that I feel tired, but happier and with the joy of my vision hold into my mind… I’M GONNA MAKE IT!! NO MATTER WHAT!! I wish you all a good resting time and enlightening awakening! !